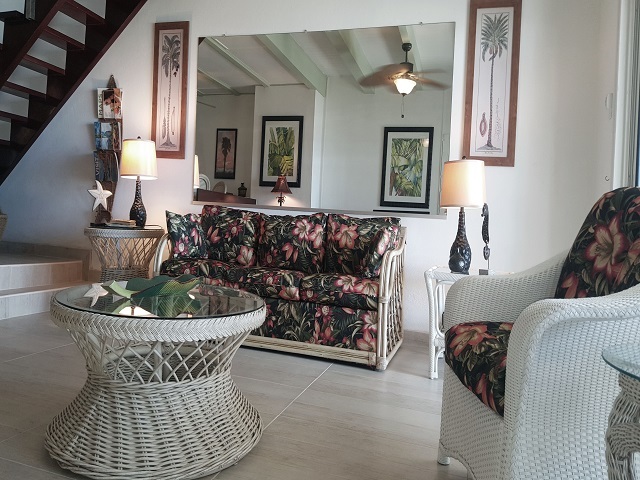 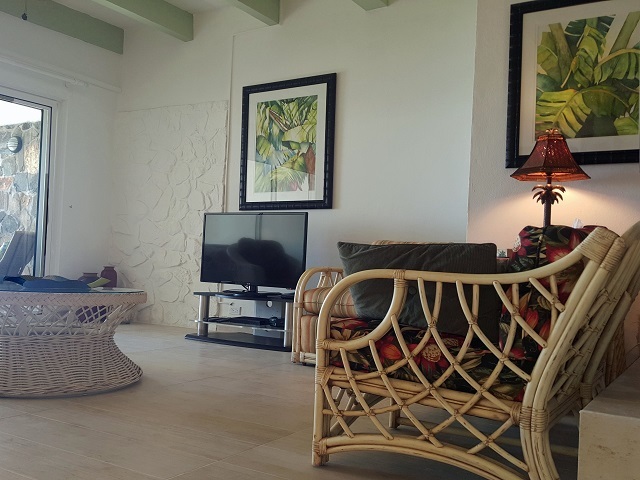 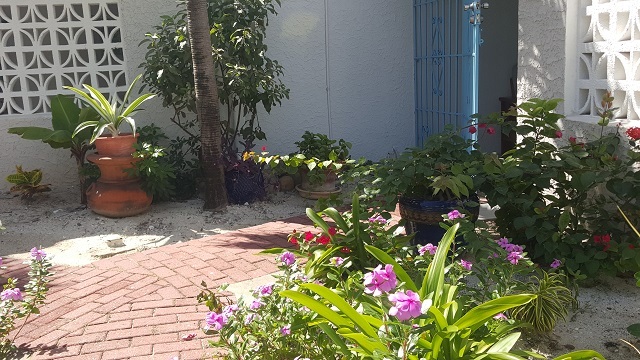 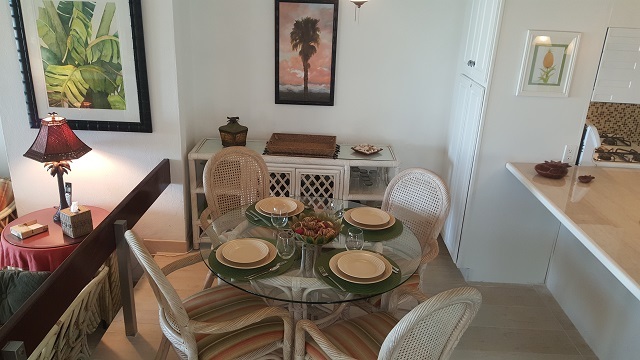 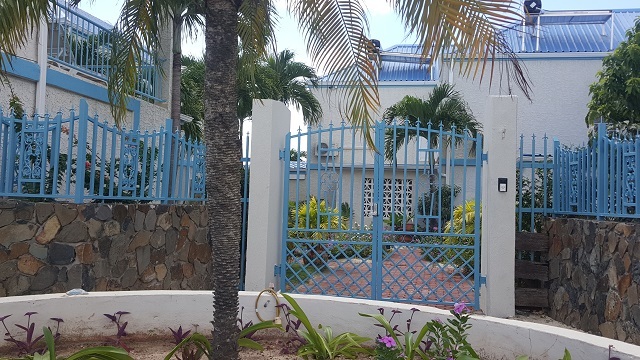 This two bedroom, three bath villa is situated right on Great Bay Beach in a small complex of twelve individual villas with a lovely beach front swimming pool and breath-taking ocean views. 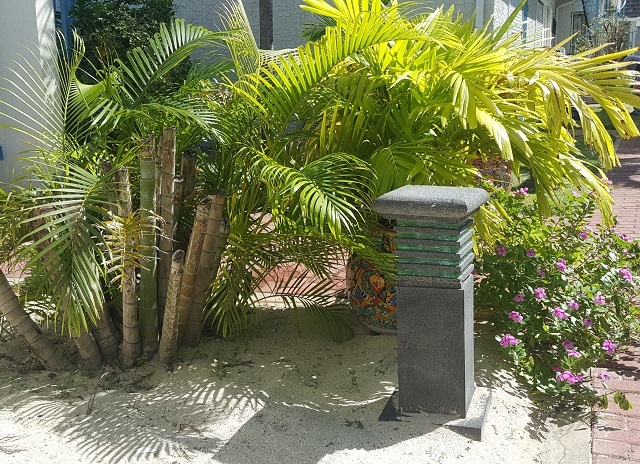 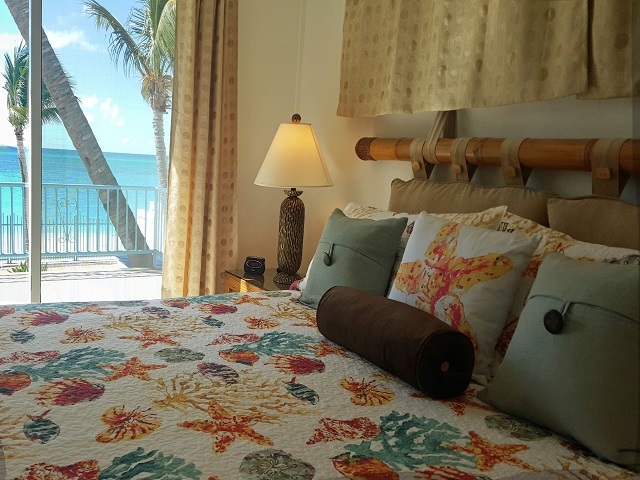 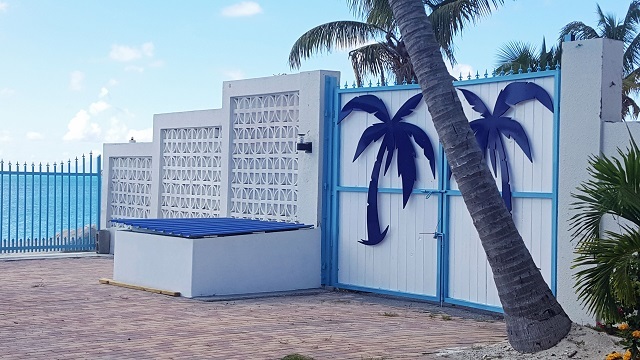 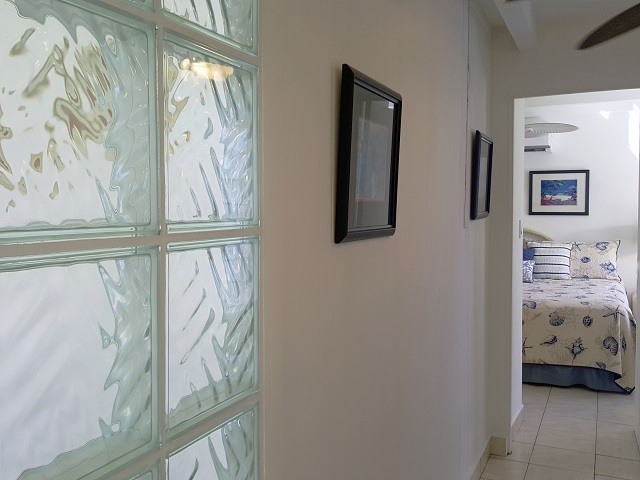 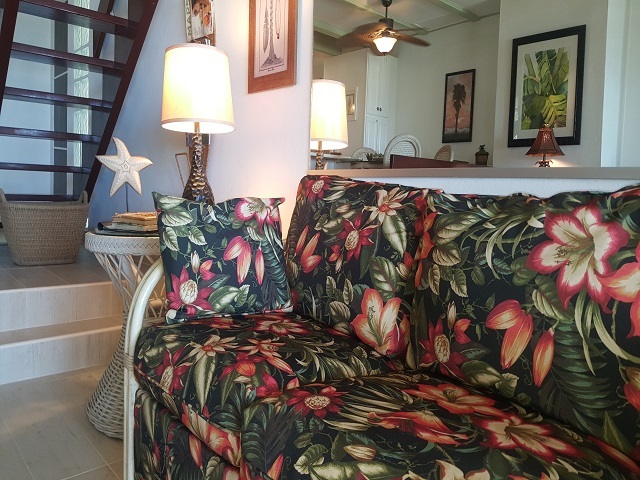 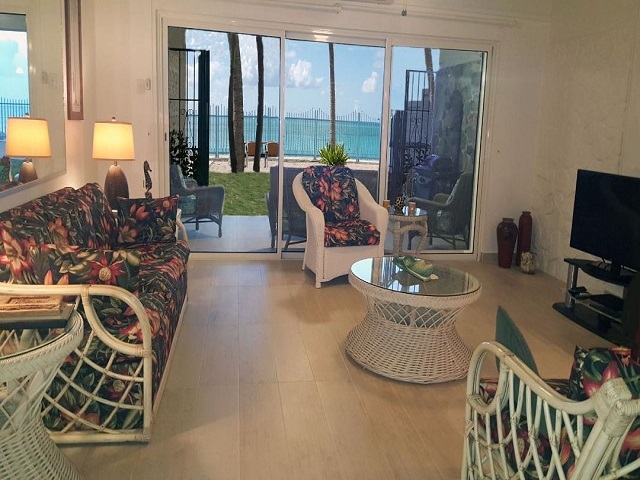 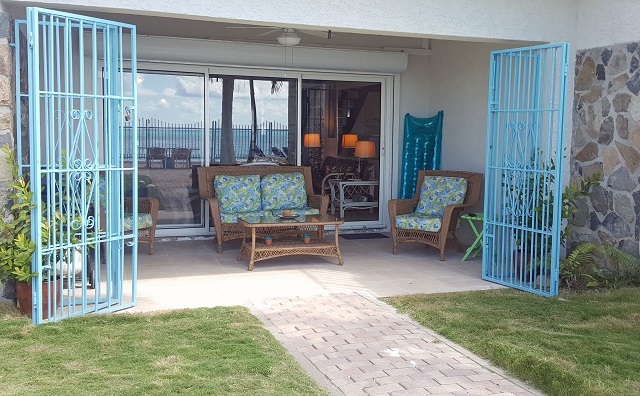 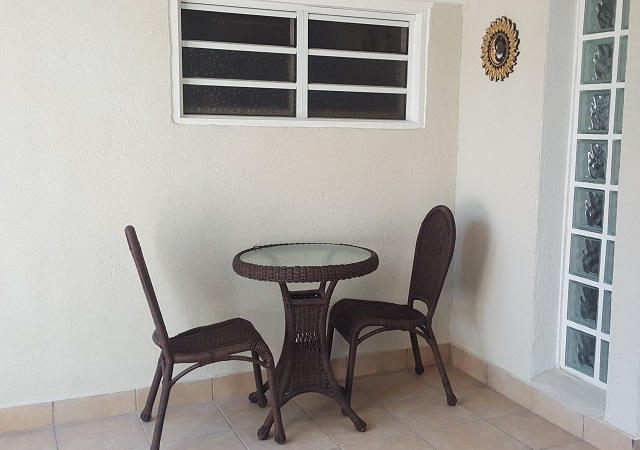 This gated complex with on-site management is the perfect place to relax around the pool or to just lounge on your private lanai or elevated deck overlooking our beautiful beach. 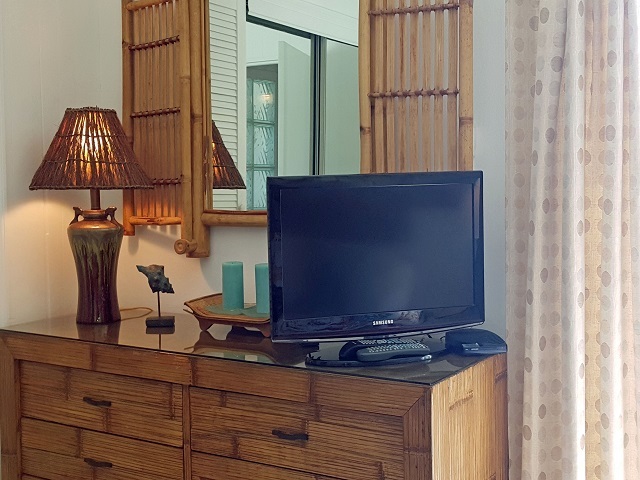 It is remodeled inside and out with new furniture and king beds. 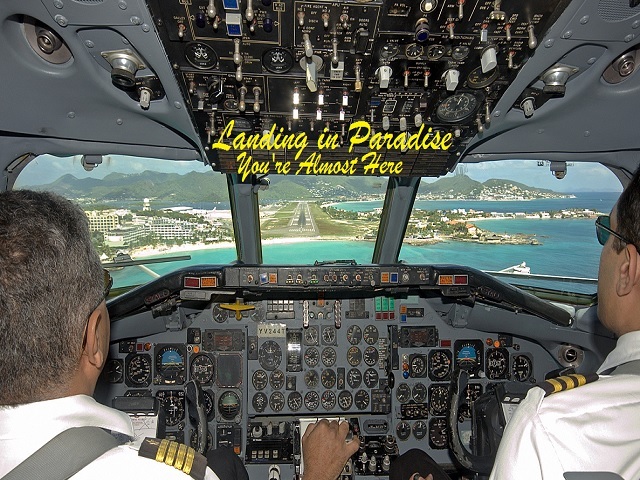 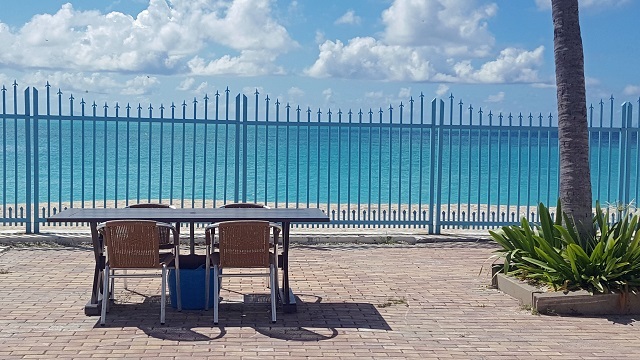 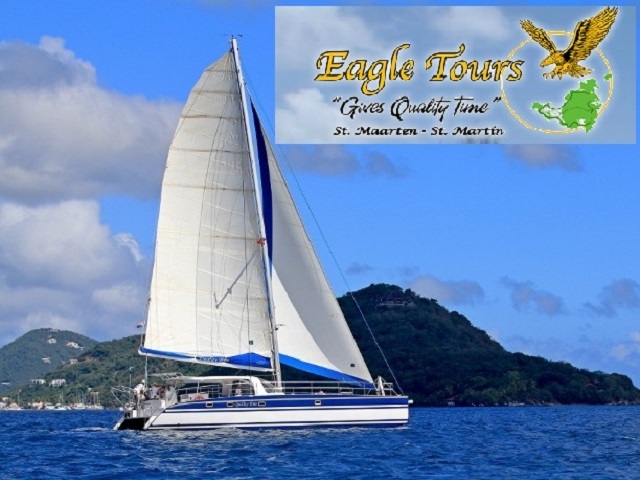 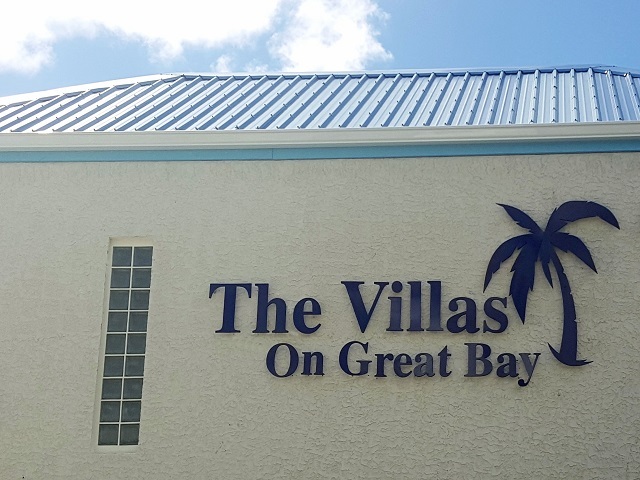 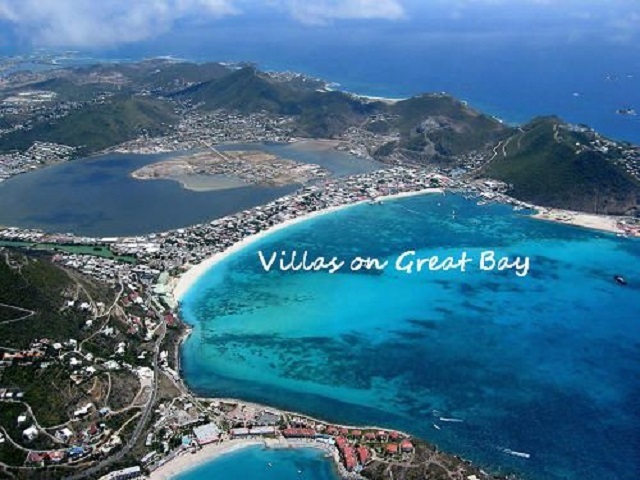 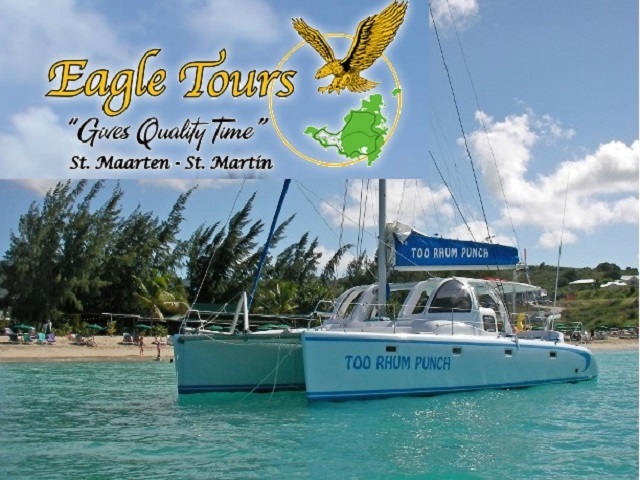 The location is ideal because it is on the opposite side of Great Bay from the bustling Philipsburg Cruise Port, so you can enjoy the wonderful views of the cruise ships' comings and goings without the crowds! 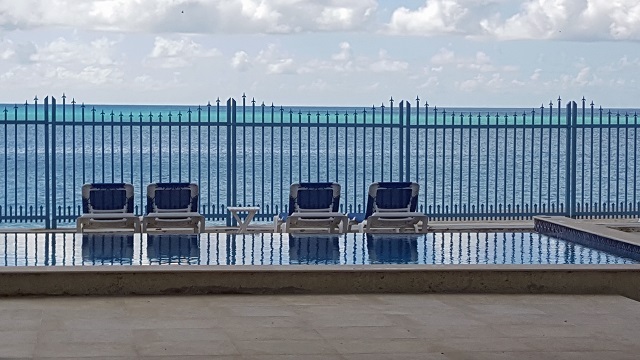 There are as many as six cruise ships in port at one time and watching them is a favorite past-time of just about everyone who stays at our complex. 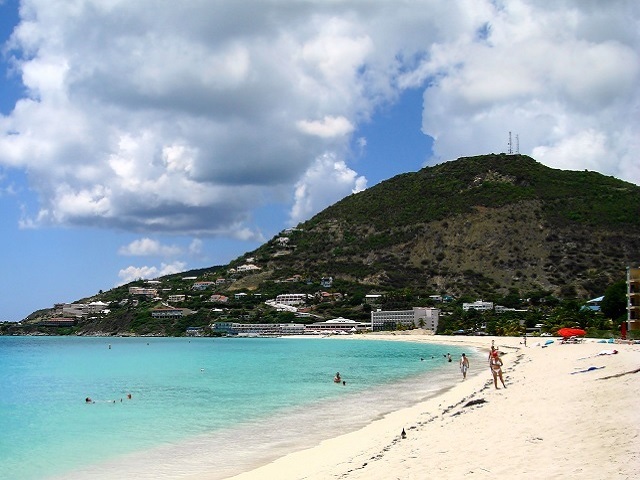 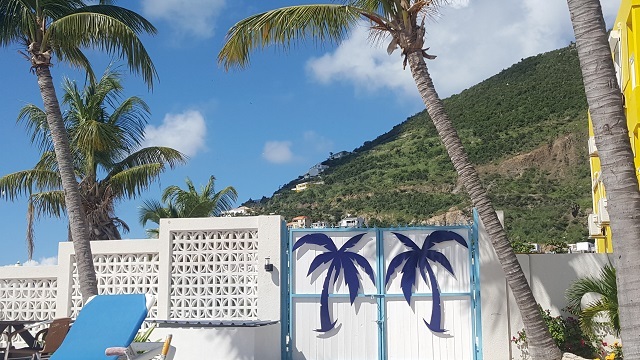 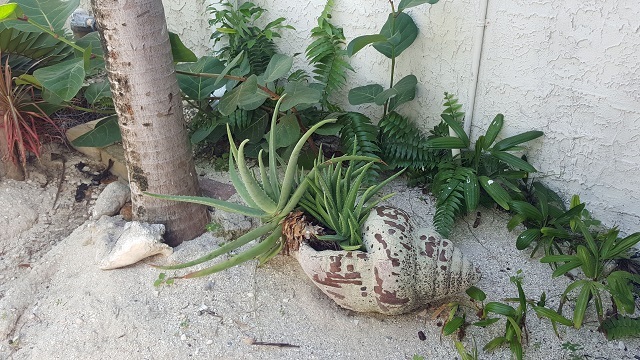 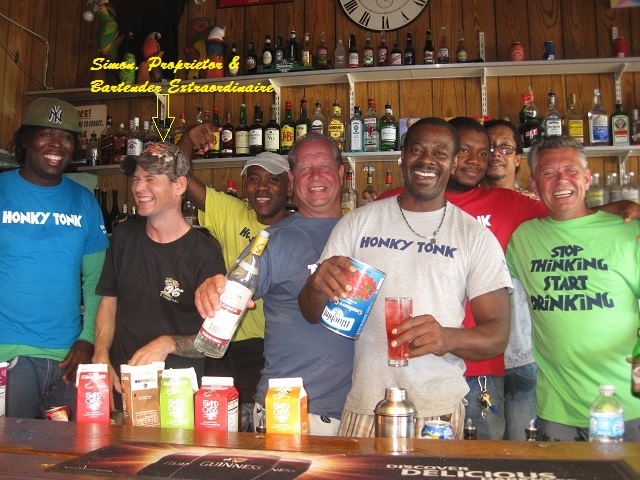 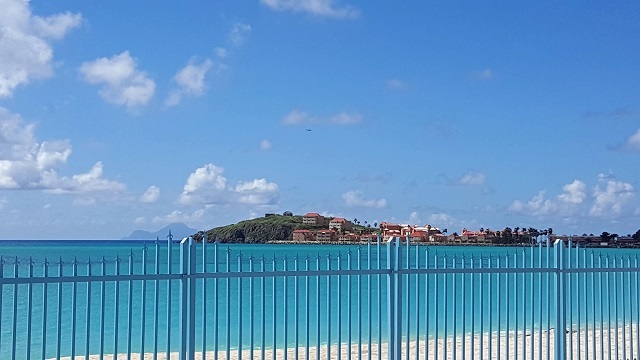 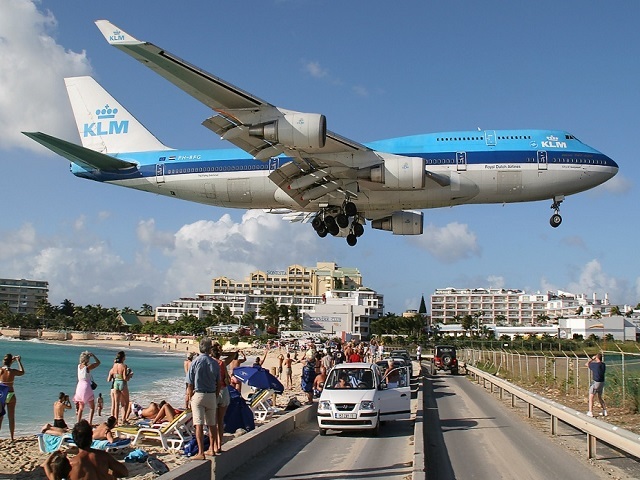 There are endless activities available in Saint Maarten/Saint Martin and the surrounding islands if you are interested in something other than vegging out on our gorgeous beach or beach side pool and patio. 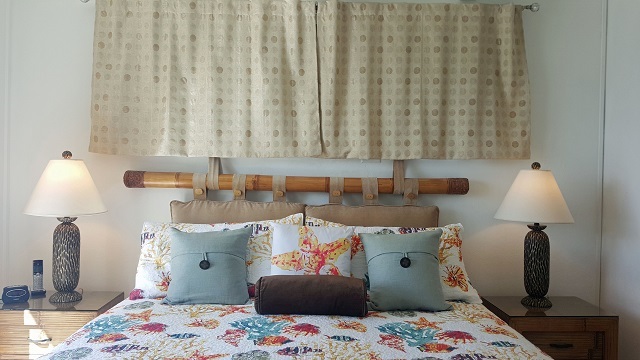 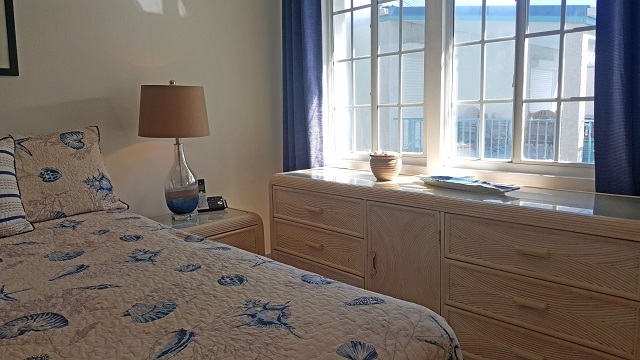 Recently remodeled: Tastefully decorated with all new beds and bedding (600 thread count silky sheets! 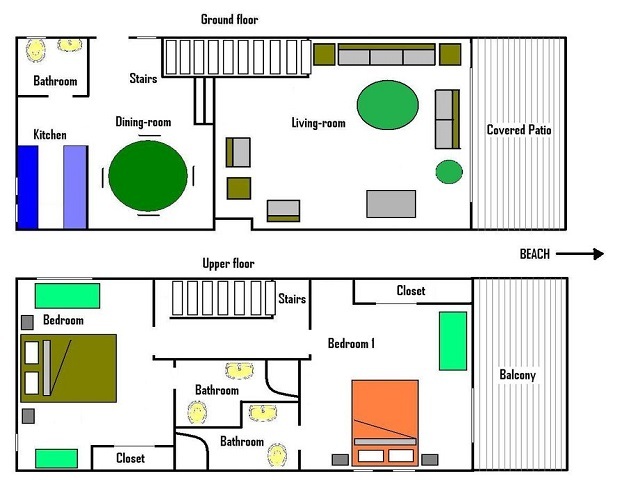 ), sleeper sofa and living room furniture. 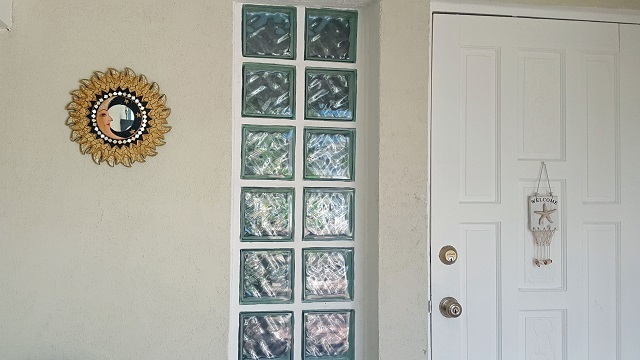 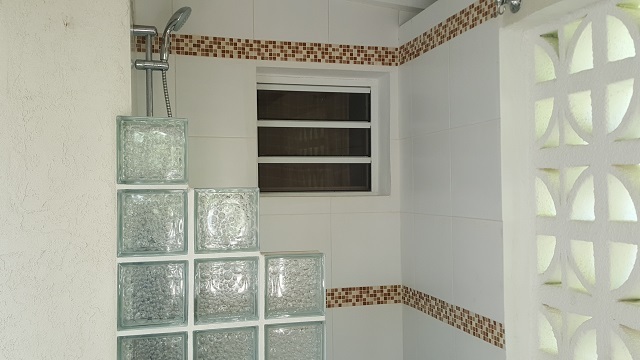 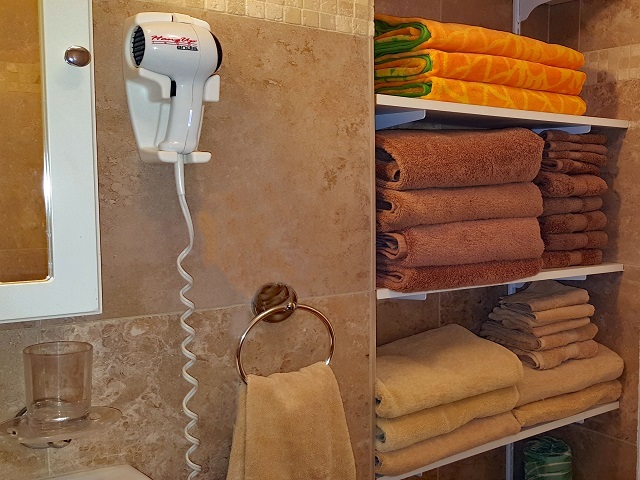 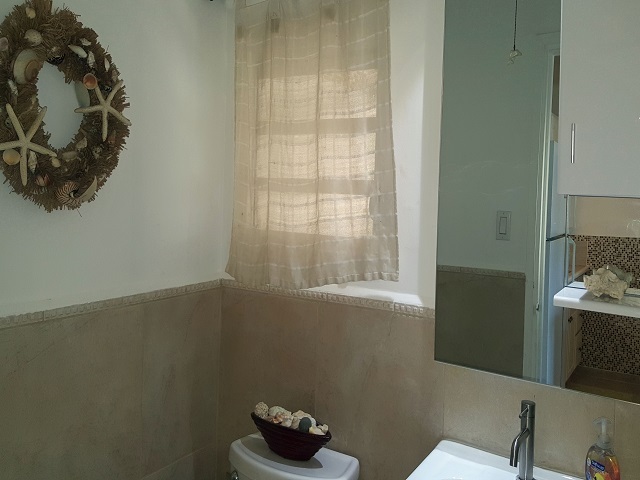 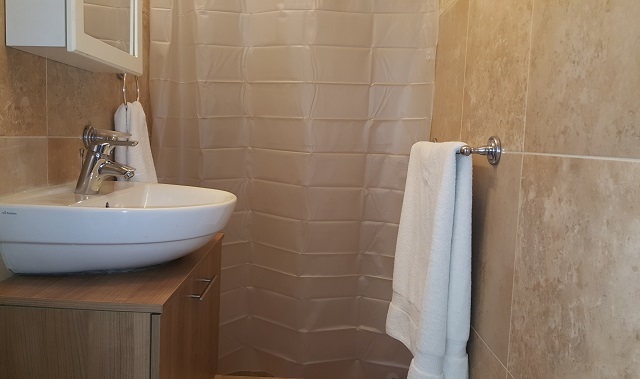 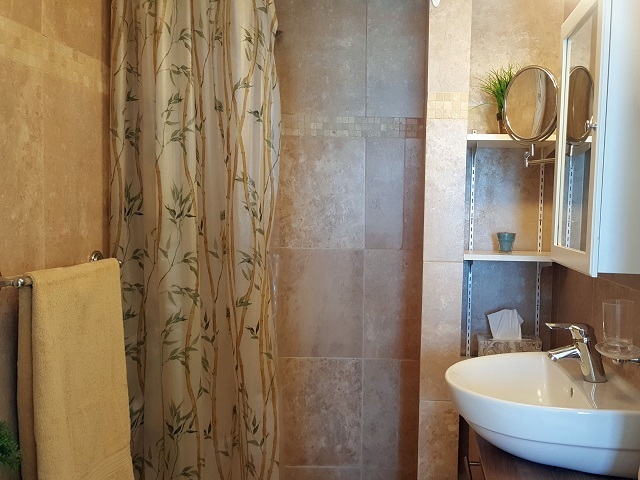 All 3 bathrooms were entirely remodeled with the 2 private upstairs bedroom baths each receiving new showers and rain showerheads with handheld shower wands. 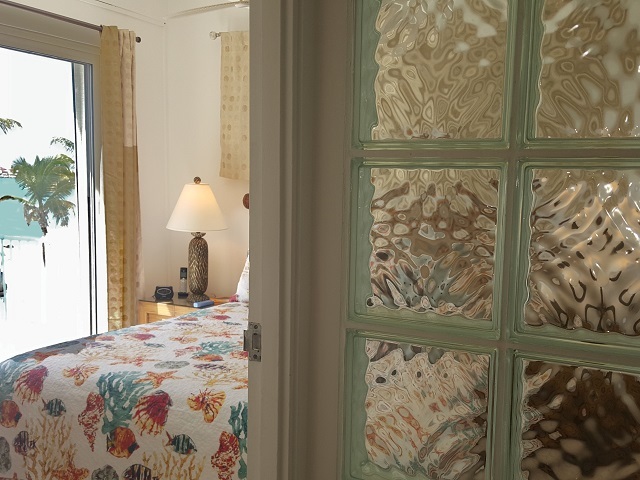 A new viewing deck is available through patio doors from the ocean side bedroom which overlooks the beach, ocean, and cruise ship dock. 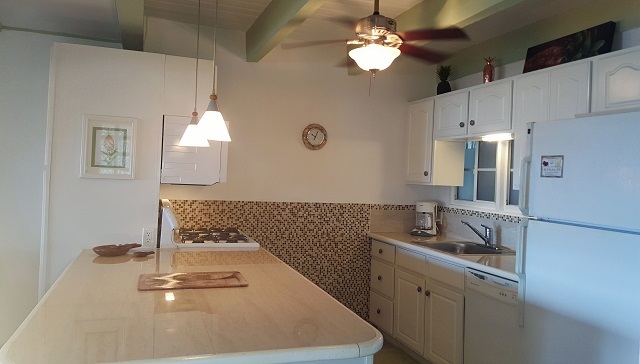 The entire kitchen was remodeled including a new stove, full sized microwave, dishwasher, plenty of cabinet space, and granite tile. 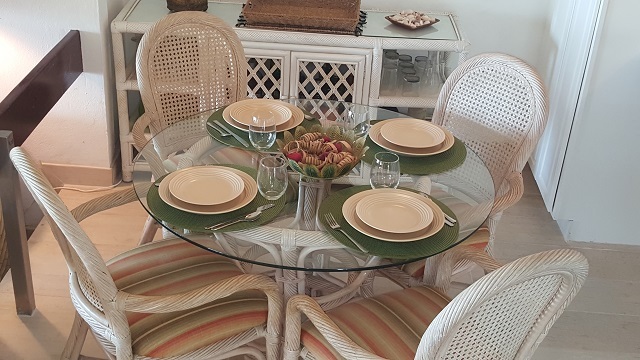 We repainted the entire interior and fully stocked with dinner ware, cooking supplies, spices, blender, coffee pot, toaster, and bar accessories. 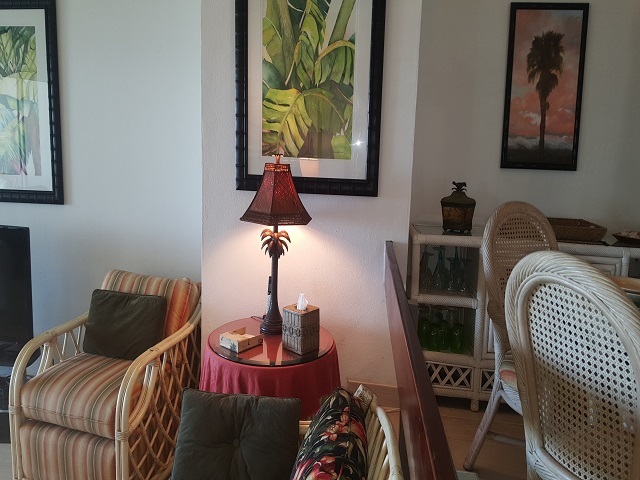 There are even little drink umbrellas waiting just for you! 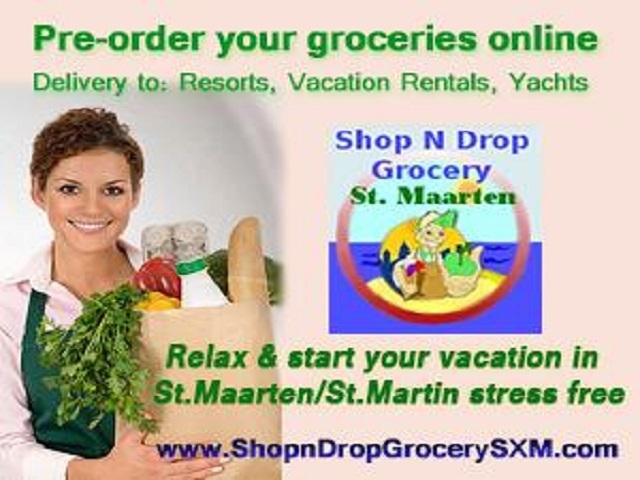 Short walk to everything: There is a local convenience store a half block away for the last minute necessities. 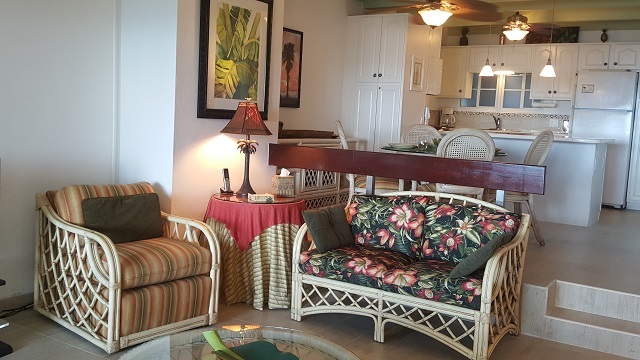 Your favorite restaurants, shops, piers, and people watching is just a short 5-10 minute walk down the beach or boardwalk. 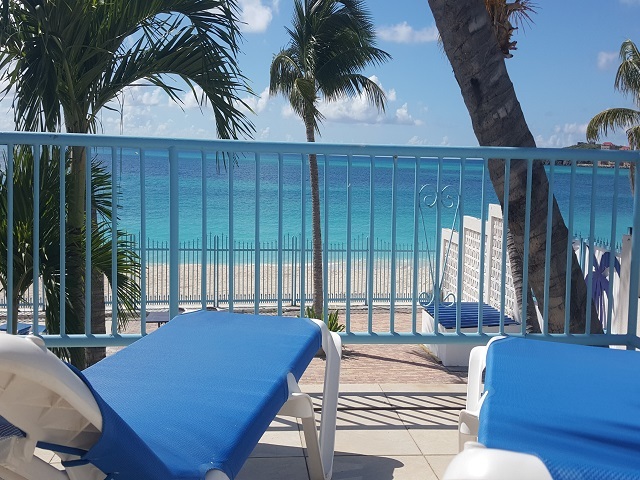 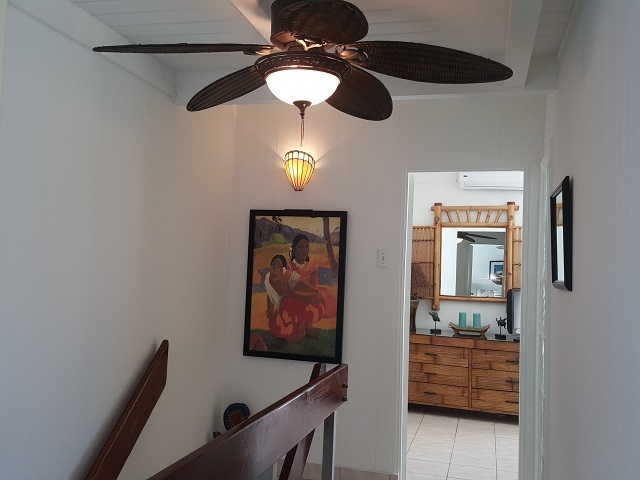 This is one of the best locations on the island as you can have peace and quiet when you want it or walk just a few minutes to all the shopping, restaurants, and beach activiity your heart would ever desire. 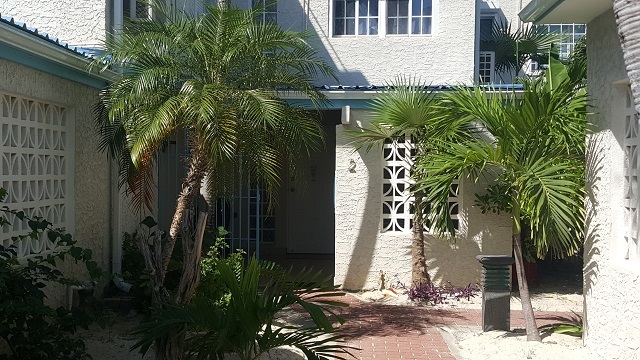 Click HERE to send a secure e-mail to the owner of Villa 2.